Let me get this out of the first. Mario Tennis Aces is the best tennis video game I have play to this date and if you have a passing interest in the series, I would heavily recommend you check out the game. 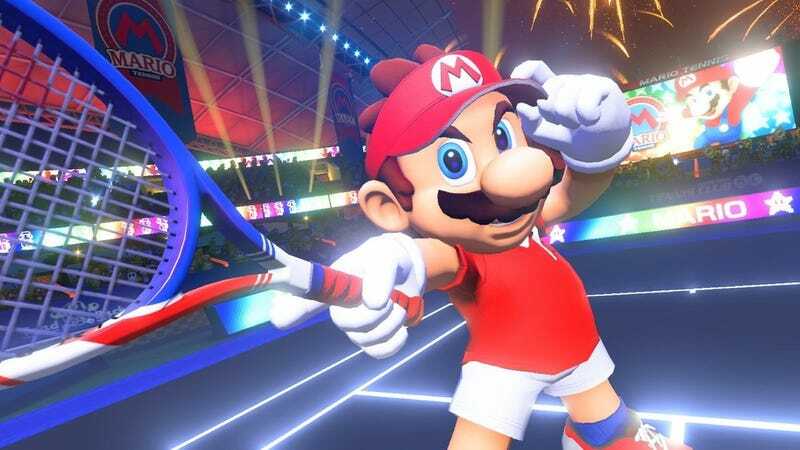 Mario Tennis Aces feels like a natural evolution of the mechanics introduced way back in Mario Power Tennis, but with with more nuance to the game’s mechanics. The way Camelot changed the power and defensive special shots from Power Tennis into the zone Shot, zone speed, and Special shot in Aces was so ingenious that I can’t help but applaud the designers. In Power Tennis, the power/defensive shots felt like an auto-win/get out of jail free card when they became available, which didn’t add to the core tennis gameplay. On the other hand, Aces lets the players use the equivalent of power/defensive shots at all times during the game if they have the energy (or special gauge if you’re a fighting game fanatic). I just love this change because it makes you evaluate when you should go for broke to win a point with a zone shot or if you want to recover from a tough shot your opponent just made. The mind games of building up energy and expending it was a great addition to the game that also complements the 2nd win condition in Mario Tennis Aces, breaking your opponent’s racket. Adding a second win condition to the Mario Tennis formula was so smart that the developer that thought of it should get a Nobel Peace prize or something with an equivalent value. In Aces, your tennis racket has a health bar, where your racket will break if its hp bar is reduced to zero and if you lose all your rackets, you lose the entire match. This is so game changing because it adds an additional element that players can work towards to win a match. Players will now have to strategize on how much energy they will commit towards winning points or if they want to focus on breaking the opponent’s racket. I just love this evolution of the Mario Power Tennis formula because it feels so unique and fun. Can’t tell you how hyped I got when I won my first online tournament because it was just so fun to play mind games with my opponent while also reacting to their different strategies. I know my explanation has been a bit dry, but you should definitely try out Mario Tennis Aces.